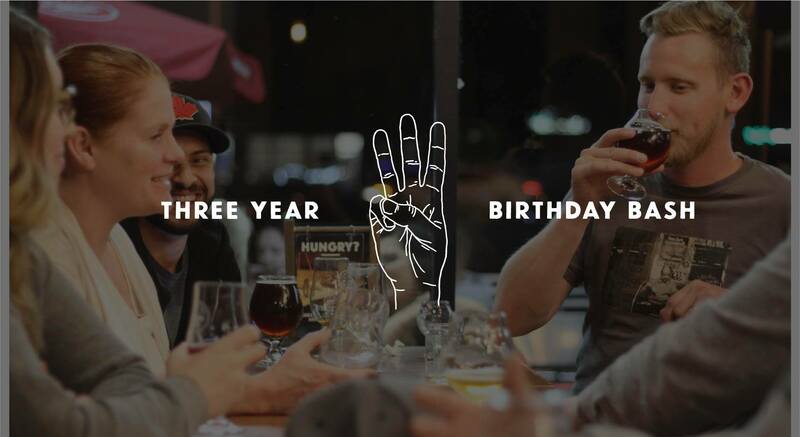 We’re turning THREE and we want to celebrate it with you! We have a lot of fun things planned for the day so grab some friends and come hang with us! Cheers to three years brewing beer! To celebrate our third birthday, we brought back one of our favourites! At 8.7%, this strong & complex Belgian style beer features a medium spiciness and a fruity aroma with notes of coriander, sweet orange and anise. Live Music: We have Zaac Pick playing from 1pm-4pm and Ryan McAllister and friends playing from 4:30pm-7:30pm! Birthday Glasses: We’ll have 100 limited edition anniversary glasses available! $10 gets you the glass and a 16oz Tripel. Food: We will have waffles made to order from our Eatery kitchen team!